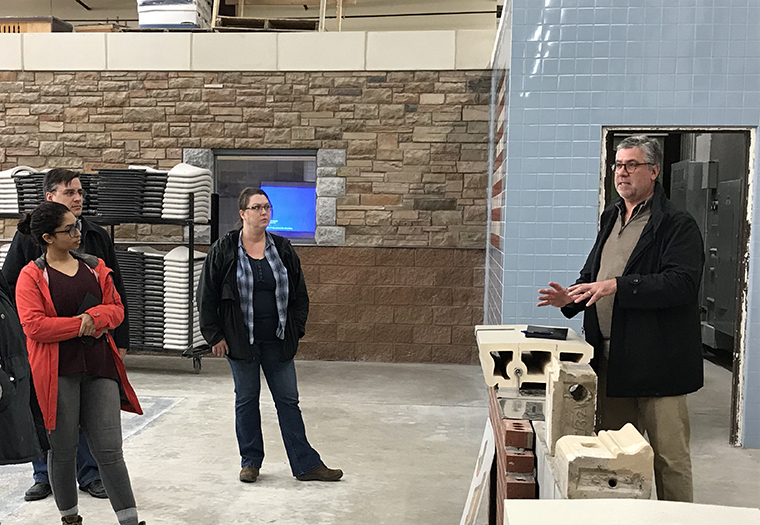 Header photo: John Krouse, CEO of Boston Valley Terra Cotta, gives insight into architectural terra cotta installation techniques to a group of his employees at Buffalo’s IMI center on November 2, 2018. 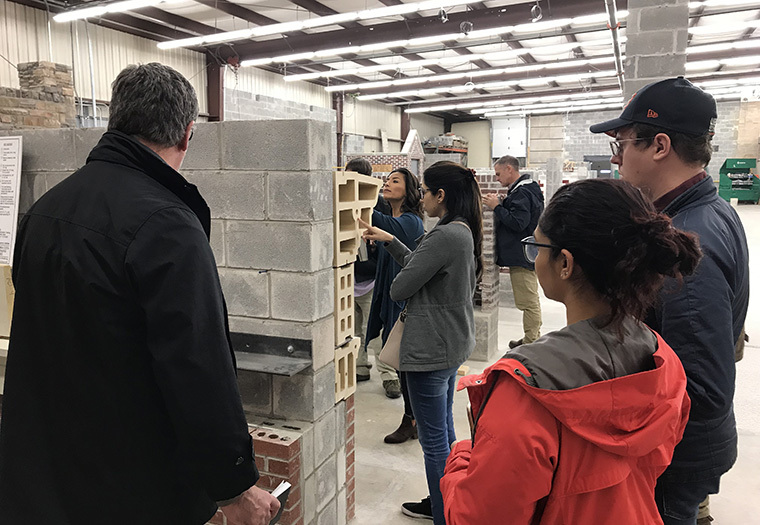 On Friday, November 2nd, employees at Boston Valley Terra Cotta, including drafters, project managers, and estimators, were given the opportunity to visit The International Masonry Institute (IMI) center in Buffalo, NY. 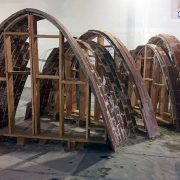 IMI is a strategic alliance between the International Union of Bricklayers and Allied Craftworkers and the contractors who employ those members. Through education, technical support, research and training, the IMI works to provide a more efficient construction delivery system. 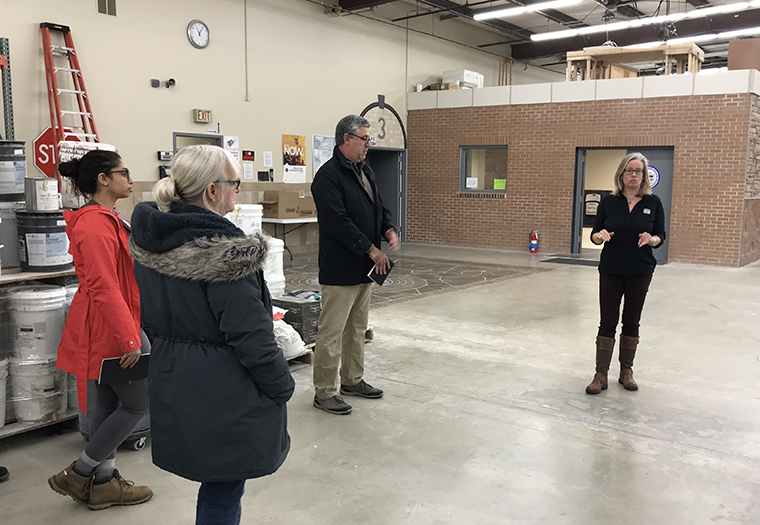 Sherry Hartel, Director of the Buffalo IMI Training Center, gave a demonstration to let Boston Valley employees observe how IMI trains its members on the process of installation for architectural terra cotta. 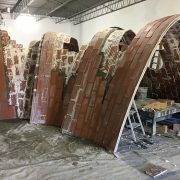 Using two mockups provided by Boston Valley Terra Cotta for the 2018 APT Conference last month, John Krouse, CEO of Boston Valley was able to give some insight into the installation techniques and strategies. Amy Woods, Director of Technical Education at IMI, also gave a presentation about the benefit of working with terra cotta as a building material. She discussed the importance of water barriers and airflow and steps on how to patch, repair and restore architectural terra cotta. Boston Valley Terra Cotta employee’s examining the mockups using their product at IMI. 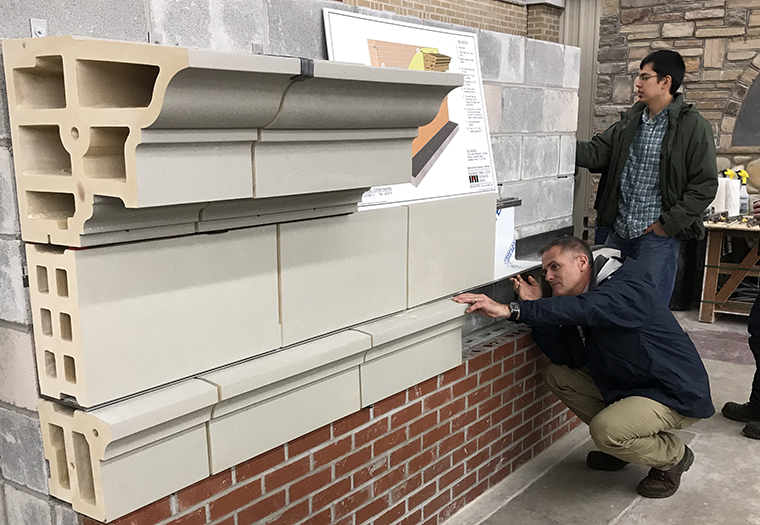 Boston Valley employees gained insight on the methods that contractors used to install their products to a building’s facade. Sherry Hartel, Director of the Buffalo IMI Training Center, presents to Boston Valley employees. Click here to read our wrap-up blog post on the 2018 APT Conference.